There is no more suitable place in all the world to celebrate the life and work of legendary tattoo artist Norman “Sailor Jerry” Collins than Chinatown in Honolulu. The inaugural Sailor Jerry Festival will do exactly that on Friday, June 12. Multiple venues in the Chinatown Arts District will feature live music, burlesque performances, art exhibits, classic cars, and tours of the storied World War II red light district. 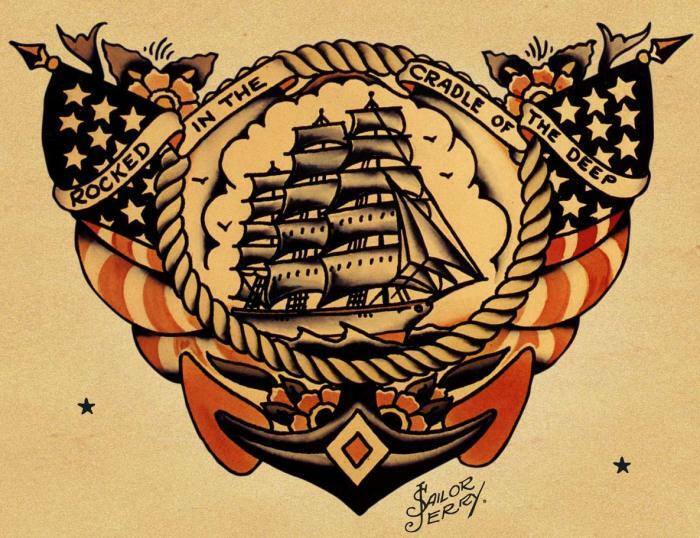 Old Ironsides Tattoo (named for Sailor Jerry’s radio personality nickname) will feature an exhibit of authentic Sailor Jerry memorabilia. Other venues include Bar 35, NextDoor, and Downbeat Diner. You can visit the festival website for a full list of events. Notable among the many exhibits, workshops, and performances at the Sailor Jerry Festival will be a concert by Go Jimmy Go, Honolulu’s 20-year veteran ska and reggae music outfit. They’ll be hanging it up in 2016 after many albums and national and international tours, so the festival is among their few final performances. That fact alone is worth a ticket to the festival. A US Navy veteran, Sailor Jerry settled in Honolulu after his adventures on the high seas. His iconic style was wildly popular among soldiers and sailors in the Pacific during World War II. His work is immediately recognizable for its themes of freedom and loss, of love and rebellion, of pinup girls and screaming eagles. The style is timeless, and although Sailor Jerry died in 1973 his themes, compositions, and use of color are possibly the most emulated of any modern American artist to this day. Sailor Jerry's work is widely emulated. Sailor Jerry’s work was born from a sense of being an outsider, a clandestine artist working in dimly-lit back rooms. The work he did for combat-bound young men was a rite of passage for them as they awaited their fate or, more often, reveled in the freedom of “rest and relaxation” after surviving the brutal realities of war. Sailor Jerry’s tattoos were for people who lived outside the norm, a badge of honor among Americans who eschewed the white picket fence trope that typified post-war America. Of course, tattoos are now firmly entrenched in the mainstream. When was the last time you went to a coffee shop or bar and weren’t served by a young person emblazoned with exotic skin art? Tattoos were once most commonly associated with motorcycle and prison gangs. But now surgeons and scientists, police officers and postal workers, and just about anyone in any career would hardly be thought of as rebellious for having a tattoo. After all, mother/daughter tattoos have been all the rage for years. It’s hard to imagine that happening while Sailor Jerry was still working. It’s interesting to imagine what the brash, iconoclastic Sailor Jerry would make of his art form, and his own style in particular, becoming practically conformist. Whatever he might have to say about that, it’s important to note that Sailor Jerry was not just a pioneering artist, but a pioneering technician as well. He was among the first in the world to employ the use of an autoclave to sterilize tattoo needles and other equipment and to develop single-use needles. His embrace of new technology helped make tattoo art more hygienic, and thereby helped usher tattoo art along in its journey to the mainstream. In fact, the work of his apprentice Ed Hardy has become a sort of parody of itself, a gaudy badge for “bros” the world over. But however Sailor Jerry’s work has been appropriated by the generations that followed him, his legacy remains intact and, like the work itself, it is indelible. 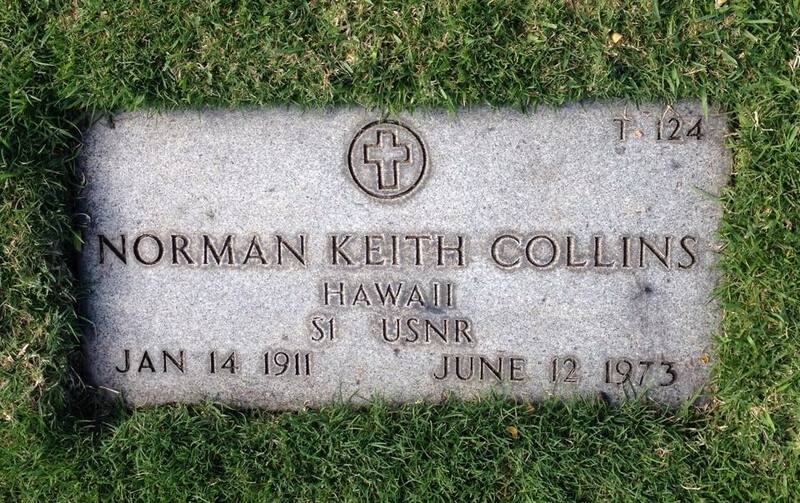 Norman “Sailor Jerry” Collins is buried at the National Cemetery of the Pacific at Punchbowl, about a mile from where his legend began. Sailor Jerry's memorial at the National Cemetery of the Pacific.